Tilghman Forest is a quiet community in North Myrtle Beach just east of Highway 17 and a short golf cart ride to the beach! For many, this friendly neighborhood is the perfect choice for affordable coastal living. Just a few blocks to the beach, Tilghman Forest is close to major roads and features convenient access to the great golf, dining, shopping and extraordinary entertainment the Grand Strand is known for. Tilghman Forest is an established community of mostly 10-year-old plus brick homes beginning at $250k with amenities that include a clubhouse and pool, PLUS low monthly homeowner association fees. Manicured lawns, mature landscaping, and spacious lots describe these beautifully built brick homes. Tilghman Forest is a perfect neighborhood for singles, couples, families, retirees or investors. Tilghman Forest homes are just one of many great communities in North Myrtle Beach that RE/MAX Southern Shores agents can help you to explore today. RE/MAX Southern Shores knows Tilghman Forest area real estate! As the #1 selling real estate agency on the Grand Strand, RE/MAX Southern Shores agents are experts when it comes to knowing where the best properties and best buys are in North Myrtle Beach. If you're looking for one of the most affordable communities in which own property, Tilghman Forest homes can’t be beat! Contact RE/MAX Southern Shores at 843-839-0200 for more information about these lovely homes and this welcoming community in North Myrtle Beach. By using the search page for RE/MAX Southern Shores you can find a property that meets your specific needs by searching all of North Myrtle Beach, South Carolina real estate or Tilghman Forest in particular. 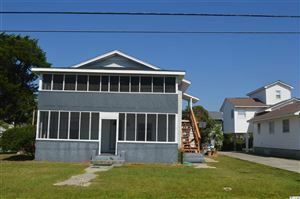 RE/MAX Southern Shores agents sell both residential and vacation homes in this quiet section of North Myrtle Beach. They will find the property that YOU are looking for. The homes in Tilghman Forest are ideal for year-round residents as well as individuals who want to invest in real estate for rental purposes. There are many homes from the mid $200s to $400K plus range that attract permanent residents, snowbirds escaping winter’s chill, and individuals seeking an affordable beach area home. Please contact our office at 843-839-0200 where RE/MAX Southern Shores agents are available every day to assist with all your real estate needs. We’ll help you navigate the touring, selection, negotiation, and purchase process for the Tilghman Forest property that is perfect for YOU!